Godwin Hili, designer, creative director and business owner at Godwin Charli, outfits many celebrities and fashionistas alike. His garments for ladies and gents are superbly designed and crafted. Using very superior fabrics, Hili’s garments are highly sought after and are often in the staple of many well-dressed lasses and lads of style. 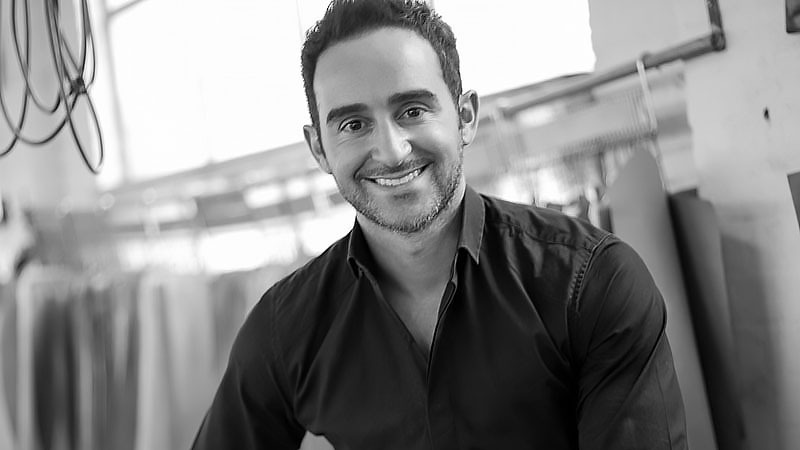 Hili established Godwin Charli seven years ago and now employs fifteen people in his ever burgeoning clothing empire. The Godwin Hili range encompasses smart casuals right through to business essentials and red-carpet garments for both women and men. Hili, who is often seen wearing his own creations, speaks to us at TheTrendspotter of his influences, experience, his business and the all-important tips on establishing a sense of style. What inspired you to choose a career in fashion? I’ve always found dressing and styling to be very natural, even from a young age, my dress maker mother would make most of my wardrobe. So my blurred understanding of the real world was that clothing was made to fit you. Having established a performing arts school with my sisters during my university years studying accounting and marketing, I quickly discovered that the commerce side wasn’t for me and a more creative career path was my destiny. Following this urge upon graduation, I was lucky enough to score a work experience job as the Festival Director Assistant to Robert Buckingham during the Loreal Melbourne Fashion Festival in 2004 and I haven’t looked back since. In having chosen fashion as a career path, what are the signature style of your label Godwin Hili that sets you apart from others? I’d like to think my raw exposure to traditional tailoring here in Melbourne has enabled me to take an unorthodox approach to design, harnessing a very personal flavour. My obvious inspiration is drawn from my European heritage but it’s my basic love affair with creating beautiful clothing without compromise that I believe sets Godwin Charli apart. We have seen Godwin Charli grow from strength to strength. What is the key aesthetics that you draw inspiration for your garments? With relation to this question can you speak of your expansions on the retail front? Key aesthetics would be my uncompromised attention to the perfect fit and respect of a timeless classic. I am a little unconventional with some of my detailing and hidden finishes but that’s what gives my customers a little part of me. The past seven years has seen the brand expand to four stores in Melbourne, with the newest store in Melbourne’s new shopping destination Emporium. 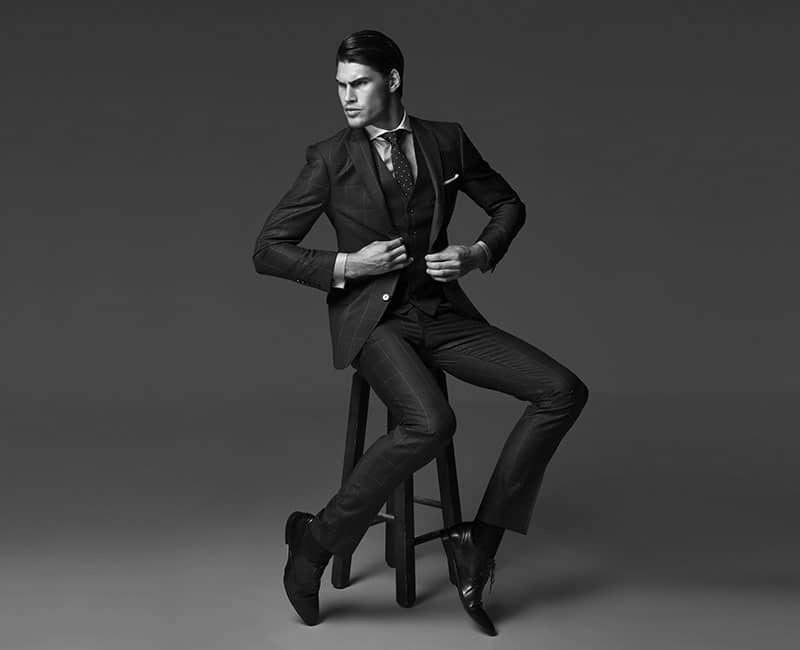 In recent years, we have seen a resurgence in the art of men’s dressing and grooming. In essence, the prevalence of blogs and print media dedicated to this topic is on the rise. Do you feel that your clientele is increasingly more wary of the need to look good from the sense of complete grooming including a greater understanding of form and fit when selecting garments? It goes without saying that today’s consumer of fashion is totally spoilt by an abundance of fashion material and reference. The world has become a smaller place, with influences from all over the world appearing in our personal inboxes and news feeds every day. It’s these expectations and appetite for the latest and greatest that continues to push me to be at the forefront when conceptualising new seasons. What sartorial advice would you give men when buying a suit? I like to keep it simple when giving advice. No matter your size it’s imperative that the jacket fits neatly across your chest and shoulders. No strain should be noticeable. The waist should taper to define your shape but done so within reason. There is nothing worse that a suit that looks too small. Ensure sleeve lengths finish with a hint of shirt sleeve reveal and trousers a shortened or lengthen to achieve a subtle break above your shoes. Trouser lengths these days are driven by trends but be sure to wear them not too long but as you feel comfortable. What advice do you offer men when choosing accessories to complement their outfit? Understand your audience. More formal occasions lend themselves to black and white accessories but depending on your setting you can be more adventurous. These days I like to accentuate either a family of colour tones or a mixture of complimenting textures and tones. My one rule is to never follow through the same colour and pattern throughout your tie, hanky, shirt and socks. One way to get around this is to experiment with different grades of a certain colour, highlighted amongst a variety of shapes, patterns and textures. This ensures you create a very natural look that is unique to you. In your opinion, is it the traditional tie, skinny tie or bow tie and with or without kerchiefs? Style within your comfort zone. It’s better to have less than more in my opinion. Looking like you are trying too hard can be a turnoff. Tie widths these days are sitting around 6cm – 7.5 cm in diameter. Bow ties can be fun but aren’t for everyone so choose wisely. And the timeless classic of a pocket square or kerchief can take an outfit from day to night. Just never match your hanky with a tie, they should never be bought in matching sets. Again, keep the tones and textures relevant but relaxed in approach. Particularly relating to buying suits for both your female and male clientele, do you think purchasing in-store is advisable over purchasing online? Identifying with the perfect fit for you can only be achieved at the store level in my opinion. Under the careful guidance of a staff member, the right fit for you can be determined. Every brand has their own fit so unfortunately, a universal fit does not exist. What are the future plans for Godwin Charli? We’d love for more Australians to engage with the brand and product so interstate stores are on the cards. However, it’s really about continuing to deliver consistently world class product across our collections. The sky is the limit if we stay true to our brand and where we have come from.